This post is sponsored by Pinnacle and the BlogPaws Professional Pet Blogger Network. I am being compensated for helping raise awareness about Pinnacle’s Newly Formulated Grain Free Dog Food, but Budget Earth only shares information we feel is relevant to our readers. Pinnacle is not responsible for the content of this article. As dog owners, most of us know that food is very important to our dogs. Quite a bit of their lives revolve around meal time, making it a time of excitement. Just like most other malamutes, this is especially true for both Reya and Ivi. From the moment they get up in the morning, they look forward to their breakfast and dinner. Not only does it have to taste great, it needs to be a grain-free food made from quality ingredients to make sure our girls have everything they need to keep up with their busy lifestyles as they play, run through the woods on walks, or even play tag out in our backyard. This is especially true for Reya, since she now has a growing puppy that seems to never want to rest after exploring. To our excitement, we were recently introduced to a food that seemed perfect for our family – Pinnacle® Dog Food. 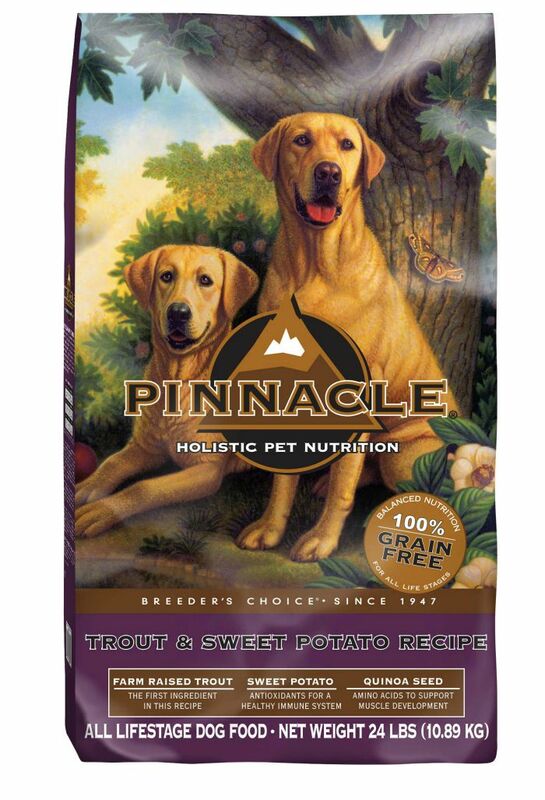 Pinnacle Dog Food: What is It? With such high quality ingredients, their food is very easy to digest and filled with natural fiber, meaning that it gives your dogs steady energy throughout the day, while giving you less to pick up during your dog’s walks. As well, their food always focuses on using only natural, high quality proteins and antioxidants to help support a healthy immune system in dogs. Pinnacle dog food is also proud that their recipe also promotes general joint health and overall muscle in dogs of all sizes, something that is extremely important for larger breed dogs (like our malamutes). Of course, you can’t forget too that their food is all made here in the United States. It actually made in their California plant, allowing them to fully monitor their food at all stages, preventing contamination and making sure that only the best quality ingredients are used in your furry family member’s food! 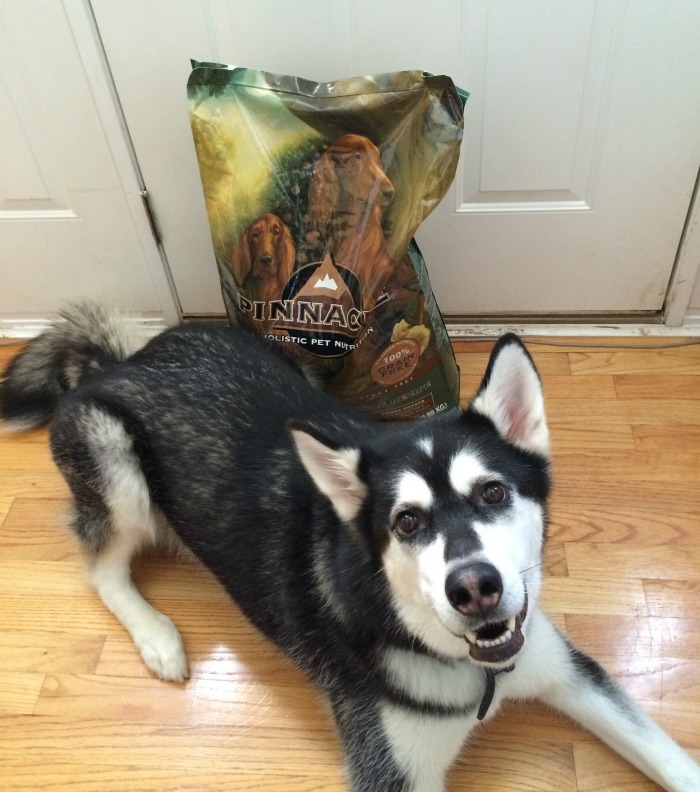 So, what did our Reya think of Pinnacle Dog Food? From the moment we opened the bag, our big girl fell in love with grain free dog food. While Reya has always been a grazer, she has been going to her bowl throughout the day, enjoying her food. What really impressed me is the fact that she is taking less naps throughout the day, making her more bouncy and excited when one of us pick up her leash. Best of all, I know that she is eating a food made from only quality ingredients, keeping her blood sugar from spiking throughout the day and keeping her coat looking absolutely amazing. 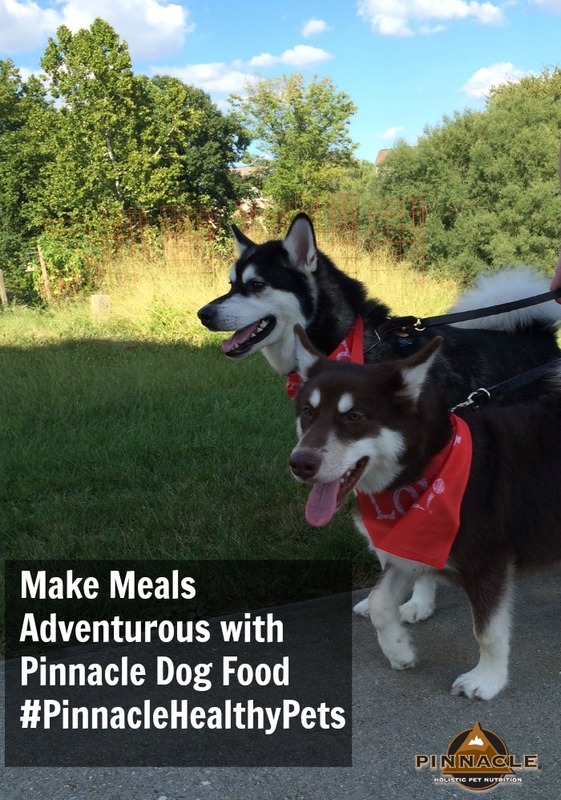 Based on our own experience, we are delighted to give Pinnacle dog food an A+ rating! Want to purchase some of this awesome, grain free dog food for your own dog? You can purchase this LID dog food at a store nearly you using the Pinnacle Dog store locator on their official website. Of course, make sure to head over to the Pinnacle Dog food website to learn more about this great food and why you should consider feeding it to your furry family members. Ready to learn more? Check out Pinnacle on social media! Sounds like a great dog food choice, my chihuahua is pretty finicky about his food but I’ll give it a shot. Is there a bulk discount? My Chessie eats about 3-4# a day, more during hunting season. Karen, I will ask the sponsor. Reya goes through quite a bit of food too. Right now, it looks like Amazon is the cheapest but they may offer it at a bulk discount. Let me check! This food is great! And your pups are gorgeous! I like the healthy ingredients because my dog has a sensitive stomach. I don’t have a dog myself but I have friends who own dogs. This sounds like a very good, healthy dog food, I’ll have to tell them about it. Thanks for posting this review! This seems to be a great choice for dog food for all dogs. I am glad that it is made in California. 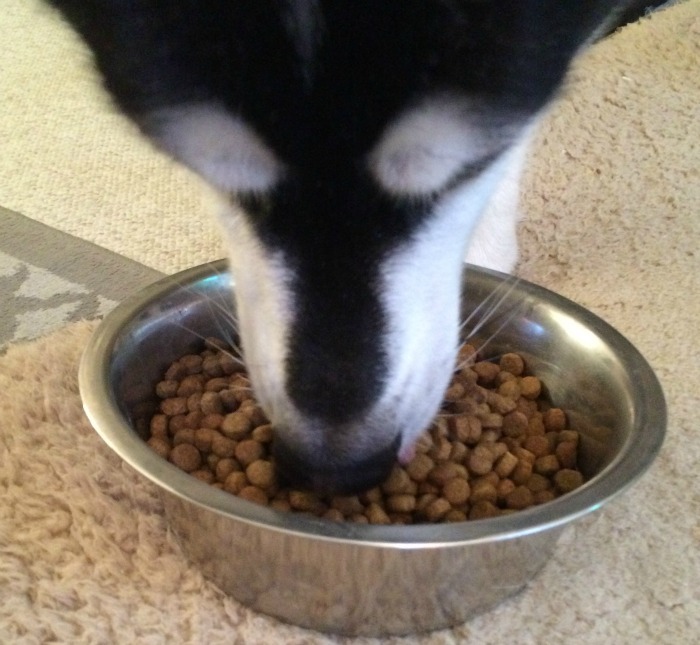 Over the years we have learned a lot about the necessary ingredients for a nutritious meal for a dog. I love that their dog food contains wholesome ingredients such as sweet potatoes! I didn’t even know a grain-free dog food existed! This looks and sounds like a great product. Thank you for sharing. Never heard of this dog food. I will have to see if it is available in my area and get it for my dogs. This sounds like great dog food and I know Sorcha would love it. Thank you for your review. oh my gosh, this looks better than what my boyfriend eats! hahahah! This is my first time visiting your blog. Great Pinnacle blog post and my what beautiful pups you have! This is a really good dog food. I loved trying it out as well. You’ll have to check out my review & blog sometime my friend. I’ve been hearing a lot about grain free food and am considering having my pup make the switch. This food sounds terrific. The ingredients are exactly what I want for my little guy. My dogs are getting old 10 to 14 years old. They have to eat moist or wet food. I would love to try this for my 2 rottweillers, one is a little overweight but they are very high energy and only fed once a day so it needs to count. This sounds awesome, where can you get a sample? My girls are picky. So I like to try before I buy. Those are great looking dogs. I do not have a dog. I love your dogs, they’re super cute! I think is meaning that you care a lot about their well-being since you keep trying new dog’s food and share your opinion with us! Wow, Reya is gorgeous and this may sound weird, but, she has soulful eyes! 🙂 Our Baxter is loving Pinnacle, too! We have actually heard that a lot! Reya is so full of life and character! I don’t have a dog right now, but I will pass this on to my daughter who does have a dog. This sounds like very healthy food for my new puppies. I will have to try it out. We’re still figuring out what they will eat. Beautiful dogs! This sounds like a wonderful dog food. I love that it has high quality protein and is easily digestible. Your dog’s coat does indeed look really healthy and shiny. I never heard of this brand of dog food but any food that doesn’t have fillers has got to be healthy. Wish I could afford it. This sounds like a really good and healthy dog food brand. I love that it is made with only quality ingredients. Our fur babies deserve only the best. Such nice healthy ingredients. I think my dog would like this. This sounds like a really good, healthy dog food. I don’t have a dog myself, but I know friends who have dogs, I’ll have to tell them about this dog food!. This sounds like a food that my dog needs…he has a sensitive stomach and can’t tolerate grains. I would like to try Pinnacle out for my dog Lulu and see if she likes it. She is a very picky eater so sometimes it can be hard to find something that she really likes. Thanks for the review! This is awesome! The healthier it sounds and my fur babies would be happy! I will have to tell my son about this. Thank you for the information. We have been grain free because my dog was itchy. The brand we are feeding now, doesn’t have as many ingredients in it. I will be checking Pennacle out.